Space is often at a premium in Tokyo and it isn’t uncommon to see things squeezed into where ever they can fit. And you’ll find this is the perfect way to use rooftops, that little bit of extra space can be a great place to practice some sports. And Shinjuku’s Marui Department Store is no different. 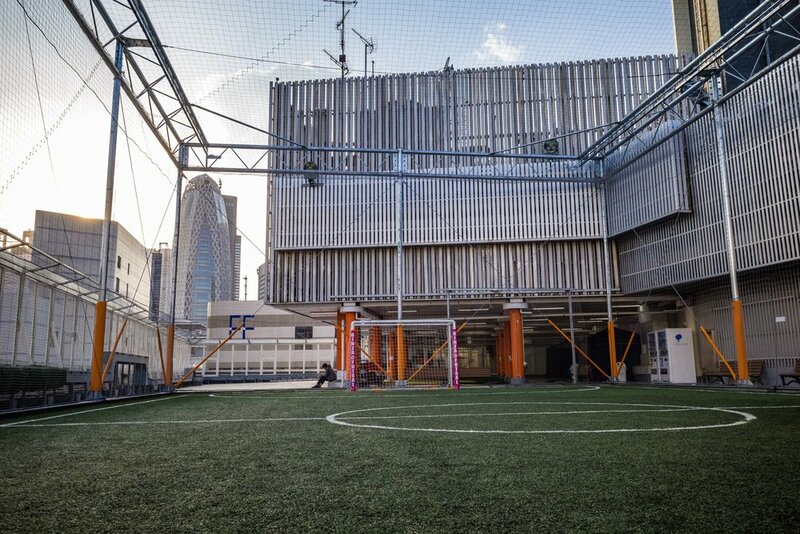 On top of that building you’ll find two net-enclosed futsal fields you can rent for a fee. I doubt you could find a more exciting place to kick a ball around. The roof has some nice views , not perfect though as a fence is needed on the top. And after you finish, if you feel the need to pray, they even have a shrine up there for you to do that too!